Light, color, and texture harmonize in Lumiere ring. 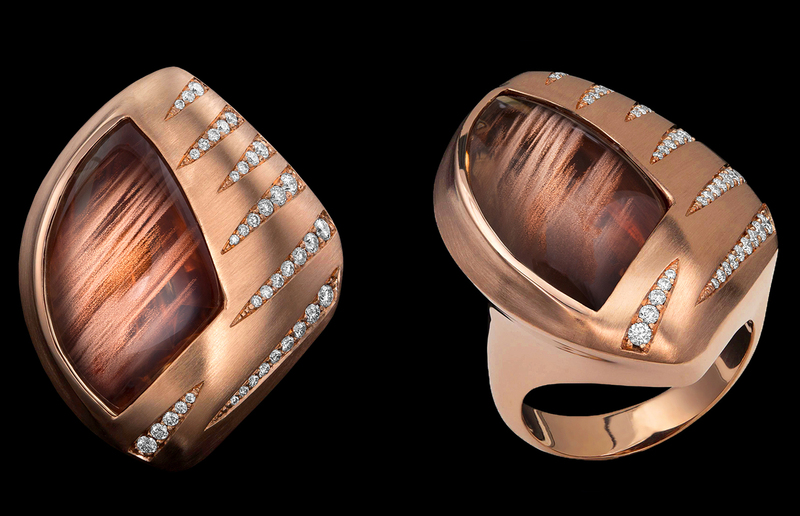 This one-of-a-kind ring houses a spectacular 16.44 carat fantasy-cut sunstone sourced from Oregon. The gem’s shimmering Schiller Effect is complemented by diamonds, which sparkle against brushed-finish 14 karat AlbaGold™.